Ohh the variations in hydrangeas is astonishing, I love drifting through the botanic gardens hydrangea beds, investigating the many hues, textures and shapes. There are 7 hand pierced, hand engraved then individually enamelled flowers, with a few round buds to bulk out the ball of flowers. 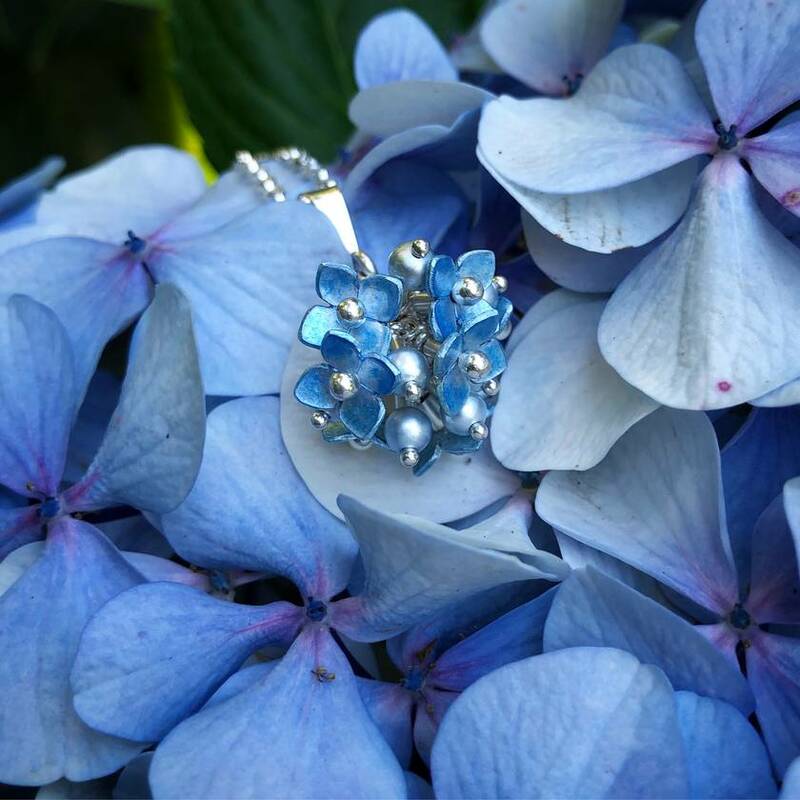 The hydrangea cluster is approximately 23mm wide. Each individual flower is approximately 9mm wide at the widest point. 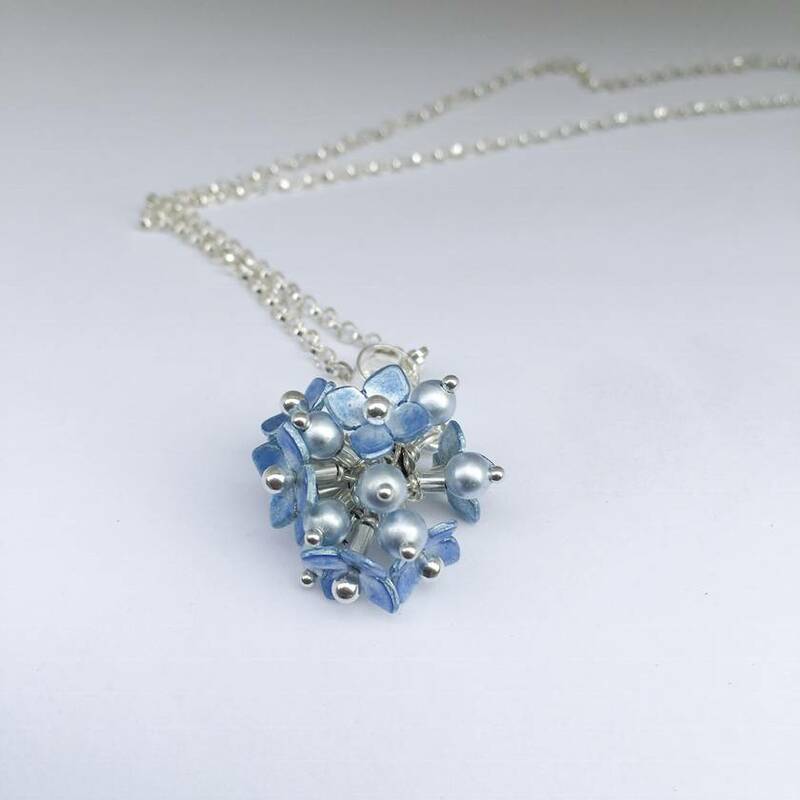 Made with sterling silver and glass enamel. 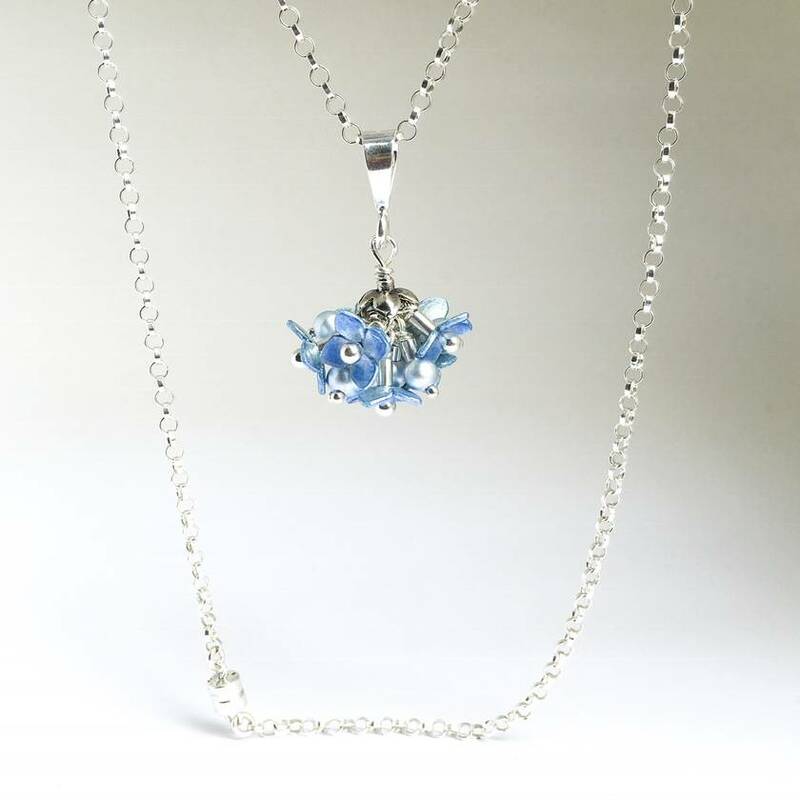 This pendant comes with an 18 inch (45cm) sterling silver chain with a magnet clasp.